Save costs and time with fast and effective riser inspections. 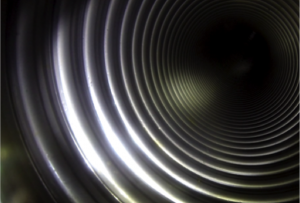 The Untethered Pipe Inspection Tool (UPIT™) is a cost effective method to localise damages on flexible risers. UPIT™ allows for fast visual inspection for documentation of the riser condition, while stored on a reel. The system supports fast and accurate live inspection of risers and offloading hoses. Do any of these apply to your riser installations? 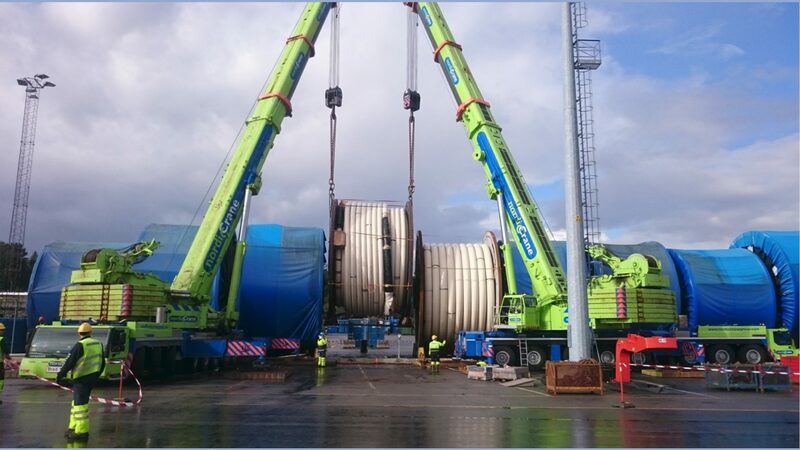 Recovered flexible risers are normally stored on reels for easy transport and storage. Prior to an internal inspection, the riser has to be un-reeled and sectioned, a time consuming and laborious process. The 4subsea UPIT™ tool addresses this issue by providing an on-reel visual inspection capability. Inserted at one end and recovered at the other, the UPIT™ moves through the riser by rotating the reel using a spooling device. The unit is equipped with accelerometer for accurate positioning of the tool in the riser, essential to document the location of damages for further evaluation and dissection. Equipped with an image stabilized HD camera with wireless start/stop recording and live video transfer capability, the UPIT™ provides a, fast, high quality and cost effective inspection solution for decommissioned risers and risers intended for re-use. The on-reel inspection capacity of the UPIT™ tool also makes it ideal to verify the integrity of risers intended for re-use. UPIT™ will detect any signs of damage, corrosion or wear form operation or damage from the recovery operation. Inserted at one end and recovered by the other, the UPIT™ moves through the riser by rotating the reel using a spooling device. Motion sensors are applied for accurate localisation of damages or findings. Equipped with an image- stabilised HD camera with wireless start/stop recording and live video transfer capability, the UPIT™ provides a fast, high quality and cost effective inspection solution for all hoses and risers on reel. The patent pending UPIT™ has mainly been used in qualification for re-use or to establish the location and nature of damage in a failed riser. When used for failure or post-mortem inspections, the sections of interest may be removed from the riser for further examination while the rest is discarded, which saves total inspection time significantly. The method eliminates the risk of inadvertently cutting though an area of interest, which could limit the value of a later detailed damage examination. 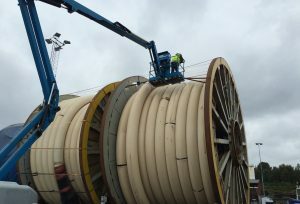 UPIT™ used for reel based off-loading hoses enables efficient internal inspection with the hose stored on the reel, and the only preparation required is removal of the hose end valve. 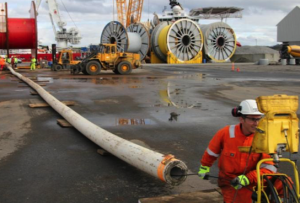 4Subsea has performed more than 40 riser inspections for major operators. Detects any signs of damage, cor-rosion, or wear from operation or recovery operation.